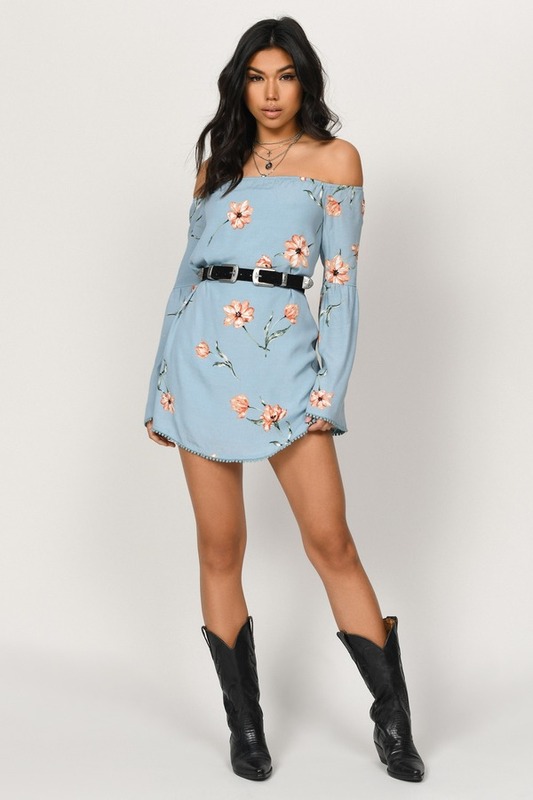 Check out Tobi's Getaway Floral Shift Dress Be ready for your next impromptu adventure in the Getaway Floral Shift Dress! This features an off the shoulder cut, slightly flared sleeves, and pom pom detailing at the hem. Made with a soft, lightweight weave. Be ready for your next impromptu adventure in the Getaway Floral Shift Dress! This features an off the shoulder cut, slightly flared sleeves, and pom pom detailing at the hem. Made with a soft, lightweight weave. Blue Multi modeled on a size Small.